Maria's wish burns as brightly as a star. Maria longs to be an astronomer and imagines all the strange worlds she can travel to by looking though her papa's telescope. 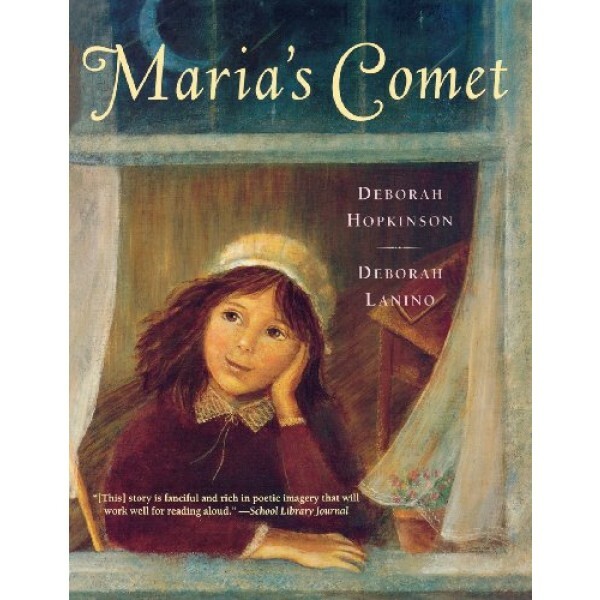 One night Maria gets her chance to look through the telescope. For the first time, she sees the night sky stretching endlessly above her, and her dream of exploring constellations seems close enough to touch. 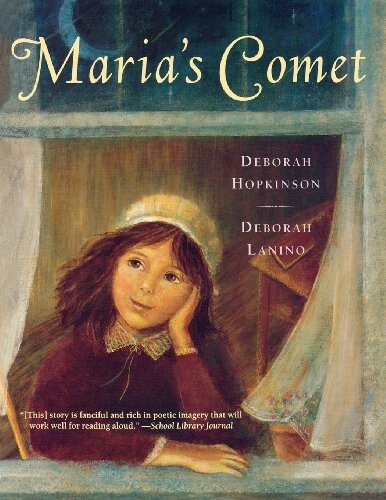 In this story, inspired by the life of Maria Mitchell, America's first woman astronomer, "viewers will find the cobalt-blue nights, lit with constellations that make imaginary (and actual) pictures in the sky, every bit as attractive as Maria does." For hundreds of biographies for young readers about women trailblazers in the sciences, arts, and other fields, visit our Biography section.